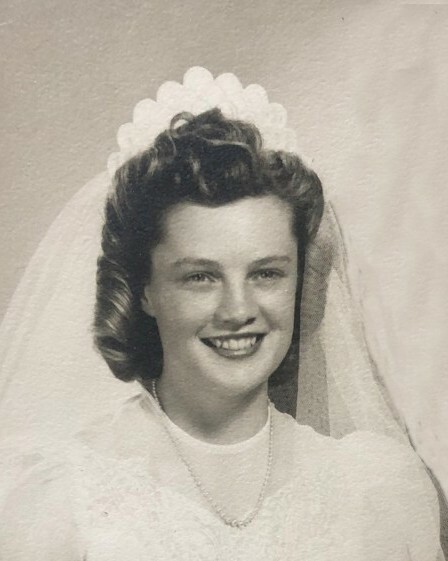 Gertrude “Gert” Veldstra passed away peacefully surrounded by her family on February 25, 2019 at her home in Modesto at the age of 91. Gert was born on August 25, 1927 in Ripon, CA to Lee and Tjitske Van Wyk. She married Chet Veldstra and they bought a farm in Escalon where they raised their family. After raising their 6 children, Gert went back to school and became a registered nurse. She worked for years as a hospital nurse and in ER, which she loved. She also volunteered as a Mobile Intensive Care Nurse for Escalon Ambulance. Gert was a talented seamstress and excelled in needle crafts. She loved gardening, cooking, and trying new recipes. She will be remembered as a fabulous cook. In her free time, she volunteered many hours at the Food Bank and Meals on Wheels. Central to her life was her deep faith in Jesus Christ. She and her husband Chet shared a passionate support for missions and missionaries. Her greatest treasure was her family, and she would have no greater joy than to see her whole extended family in heaven with her. Gert leaves behind her children, Dan Veldstra (Janice), Terri Ponsford (Jim), Rick Veldstra (Janet), Sue Veldstra, Tim Veldstra (Andrea) and Debby Carey, her 13 grandchildren and 9 great grandchildren. Gert also leaves behind her sister, Nell Gerber. Gert is preceded in death by her husband of 42 years, John Chester Veldstra and her siblings, Archie Van Wyk, Lena Van Dyken, Cora Hoek and Bill Van Wyk.